With the launch of the Snapdragon 820 yesterday, Qualcomm seemed eager to remind everyone that its days as the top provider of mobile chipsets aren’t over just yet. The Snapdragon 820 comes with some very impressive upgrades over its predecessor, according to Qualcomm, but looks like other manufacturers remain all the more eager to remind us that they aren’t out of the game just yet. 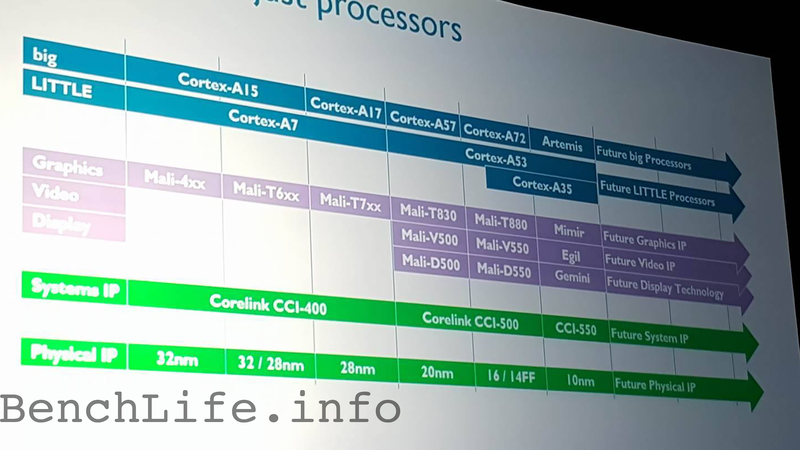 Even though the US manufacturer chose to stick with custom cores this time around on its processor,some detail’s of ARM’s next generation ‘Artemis’ cores have surfaced today. With all the buzz surrounding the Snapdragon 820 and the fact that will Qualcomm’s latest SoC be able to live up to expectations, ARM’s eager to remind us all that it still has some major stakes in the mobile hardware industry. The company’s next in line ‘Artemis’ CPU has been in the news for quite a while, with different names albeit, but one thing has been sure all along. The successor to Cortex A72 will be manufactured on the 10nm process and today’s information manages to further corroborate this fact. Artemis will be supplemented by two more upgrades from ARM’s end, which are an entirely new GPU and Systems IP controller. The Mali T880, which also featured recently on Huawei’s Kirin 950 will be succeeded by what is code-named as ‘Mimir’ for now. ARM sure loves its mythology, as Mimir stands for the god of wisdom in Norse mythology, while Artemis has its roots in both Greek and Roman history. In fact, the timing of today’s information just might signal a start of ARM’s eventual manufacture of 10nm designs. 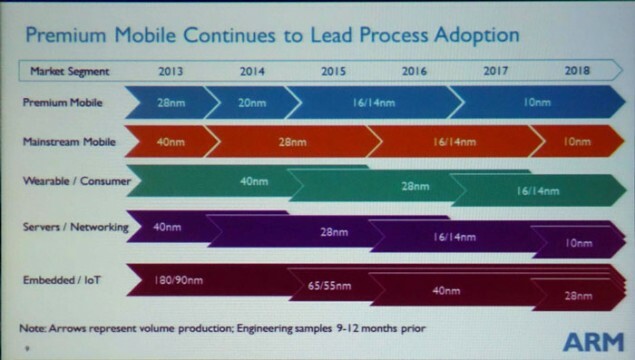 Earlier roadmap leaks, as can be seen in the image above peg the company to have 10nm samples ready by 2H 2016, so the Cortex A72‘s successor, should it be manufactured on 10nm should already have started making head ways at the British company. 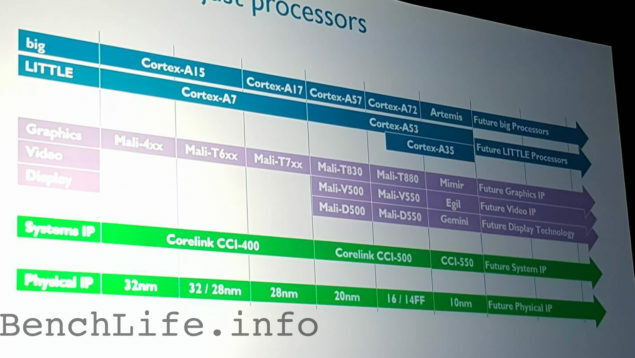 As for now, we should be expecting the Cortex A72 to make more appearances on chipset as time progresses. Huawei’s Kirin 950 already has had some benchmarks surface, which show some impressive figures for the cores indeed. But with the majority stake holders in the mobile hardware world moving towards custom cored CPUs (Samsung and Qualcomm), ARM should surely be feeling the belt tighten, even if a little bit. Perhaps 10nm will be the turnaround the company’s looking for. We’ll keep you updated. Stay tuned and let us know what you think in the comments section below.